Our friends recommend the Pine Tree Supper Club for this week's fish fry excursion. It's a bit of a drive from our house to New London, but we arrived at 6:45pm. We put our name in for a table of 5 and were told it would be an hour wait. The bar was packed with people, and many were dressed up. We later learned there was a party of 35 people for a wedding rehearsal dinner, which contributed to our long wait, so it was somewhat understandable. The specials were pictured on a dry erase board on the wall, and we had time to consider our options. We ordered drinks at the bar, and since it would be a bit of a wait, chose to get some appetizers of cheese curds and mushrooms. As we chatted at the bar, much time had passed and the large party of 35 were seated and the bar cleared out. We inquired from the hostess where our appetizers were, and she assured us they had not forgotten and they were on the way. Another full 10 minutes passed until I inquired again. The hostess said she just sent someone to check, as I was walking back to the bar, I heard her ask a waitress to check on the order, I was disappointed at her dishonesty. But they eventually arrived, and they tasted ok. Finally, we were assigned table 18 after arriving 90 minutes earlier! 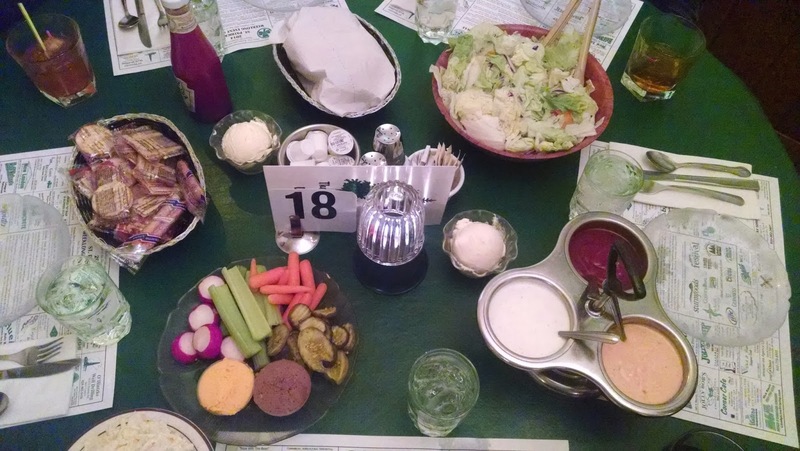 We were presented with the classic supper club experience of a cracker basket with liver pate, cheese spread, relish tray, salad bowl with dressing options, and a bread basket (which included rye bread). I personally enjoy this experience over salad bars because it is like having your own salad bar right at your table. Another 15 minutes passed and our food was served. For the perch, I got 7 pieces of perch which was a decent amount, but at $16.99, I find it a bit pricey. The perch was a fairly light breading and you could see the scales through the breading so that was good. But when I bit into it, the breading would flake off in large chunks, it clearly wasn't breaded properly before frying. The perch itself was a little overcooked and not as juicy and flaky as I usually like. For my potato, I got the smashed baby reds, and I absolutely loved them! Definitely better than the potato puff my friends got as their potato, it's always great when a restaurant serves real potatoes, and especially when they are covered in melted butter. The rye bread came as part of the bread basket, but did not include raw onion, this is a supper club after all. I guess I shouldn't be so harsh on my review of Pine Tree Supper Club, but I found the initial service a bit deceiving, and the wait time extremely long. But given a party of 35 being seated at once, I can make some concessions. The fish fry itself wasn't the greatest, but my friends who got the steak options really enjoyed their food. If you're in the New London area, they just might be worth a visit. We headed to the country for this week's fish fry, Kropps Supper Club in Mill Center, WI. Kropps has been "...a Mill Center tradition since 1904" when it started as a hotel and tavern for local loggers, up until it was purchased by the Kropp family in 1947 and became what it is today. 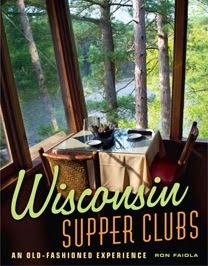 The bar featured the Wisconsin Supper Clubs, An Old Fashioned Experience book because Kropps Supper Club is listed in the book and talks about some of the history and the dining experience. Check out the book, written by a Wisconsin based author, which has also been made into a documentary. We arrived at 6:15 to a crowded bar area and we put our name in for the six to dine. We ordered brandy old fashioneds, and while they weren't muddled, the bartenders took care to prepare each drink and use a swizzle stick cocktail stirrer to mix the drinks thouroughly. As we waited for our friends to arrive, we ordered appetizers and the bartender said we had to try their famous onion rings, we also got an order of mushrooms. The onion rings were amazing and melted in your mouth. Eventually our friends arrived and the waitress came to take our order. It was another 30 minutes until our table was ready with our food. I thought the dining room was fairly small, but someone told me their was another dining room through a door off the bar area, if you go, you'll see what I'm talking about, it is rather hidden. Our meals came with the option of a salad or cole slaw, and I was surprised when our cole slaw came right away as our salad. It tasted great, but I had never seen cole slaw being served as a salad, but it does make sense when you think about it. Our main entree came next. I first have to comment on the dinnerware, it was old fashioned china that made it feel like a close to home experience, sort of like eating a nice holiday meal with your family and using the fancy, yet somewhat gaudy, fine china. I thought the Regular Perch plate was pricey at $17.50, so I was anticipating how it would be. The perch plate came with 3 full perch butterflies for a total of 6 pieces. The perch was fried golden brown, I thought the breading was just a touch heavy, but not overly so, and it tasted really good. I chose the hash browns as my potato, by recommendation of the waitress, and it was excellent from the texture to the flavor, I'm not sure exactly what was in it, but it was perfect. The meal was topped off with slice of marble rye bread with butter, but no raw onion. Are you looking for a local Classic Wisconsin Fish Fry at a place with a strong family tradition, and is featured in a book about Classic Wisconsin Supper Clubs? Look no further than Kropps Supper Club, a truly great experience that is a must visit. We planned to meet some friends a bit north of us in Oconto, they live up there and heard of a good fish fry establishment we had to check out. It seemed like a regular local hangout, and was frequented by snowmobilers coming and going on the trail conveniently located right by this place. Irish Greens Golf Club is just that, a golf club with a good size bar, and a fairly large dining area. The bar was busy, but the dining was moderately busy from the looks of it. We took a seat at the bar and ordered brandy old fashioneds. I was delighted when the bartender put in some raw sugar, cherries, orange slice, and angostura bitters and began to muddle the cocktail. It was topped off with olives, pickled mushrooms, brusselsprouts, and even a cinnamon stick for garnish. The brandy old fashioned sweet tasted delicious and as we waited, I proceeded to enjoy two more. Also while we waited we got ourselves a basket of cheese curds and onion rings. Our friends were taking a while so we needed something to snack on. When our full party of 8 arrived, we put our name in for a table, and a short wait later the waitress was at our pub table in the bar taking our order. There were several fish fry choices as pictured on the menu. I always go for the perch, and sometimes bluegill if they offer it. 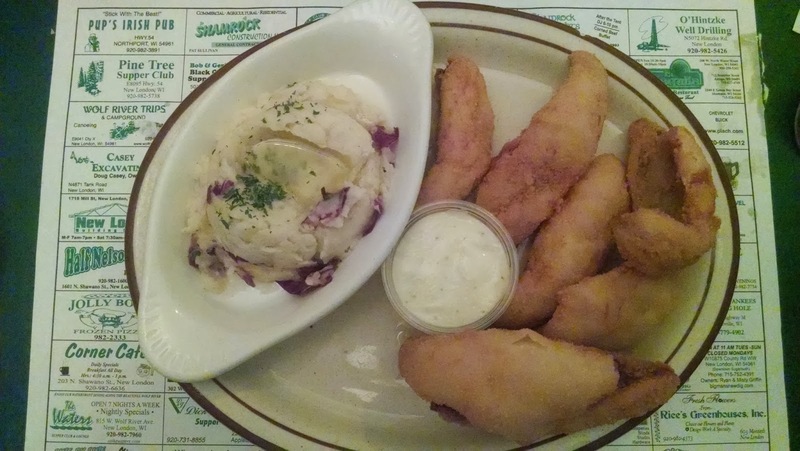 Irish Greens offers a combo platter which has a few pieces of each fish. I opted for the Regular (4pc) Perch with cheesy hash browns. When our table was ready, our waitress said tables 13 and 14 were ready with our food. The decor was simple, yet tasteful, and this isn't the first time we've been seated at a table 13 when out for fish fry. Our dinners were hot and waiting for us when we sat down. The waitress was attentive and made sure we had everything we needed. Our meal was excellent. The perch was lightly breaded and fried deliciously crispy, and the perch was cooked perfectly. The cheesy hash browns were delicious with the hot melted cheese and cooked nicely. The cole slaw was served on the side, it tasted great. 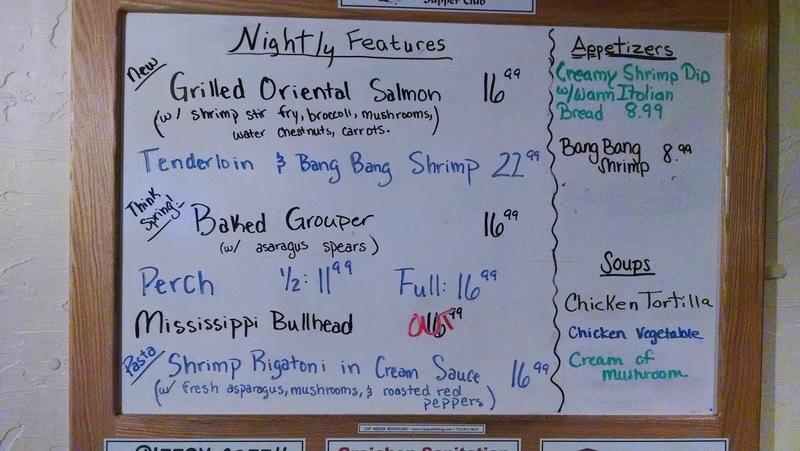 Something I haven't seen before was our fish fry being served with beans, they were good, a little bonus and something different from the normal fish fry. And to top it all off, it was served with rye bread, and white raw onion, and for a bonus, a slice of cheddar cheese. The cheese added a new element to the rye bread with onion. Everything about Irish Greens Golf Club fish fry experience was fantastic. The local feel, the awesome brandy old fashioneds, the great food, and the bonus items you wouldn't typically expect. My plate was licked clean! This is the Classic Wisconsin Fish Fry, you must stop in a and pay them a visit, you will not be disappointed. In fact, Irish Greens deserves a spot on our top five list at #4 top fish fry places in North East Wisconsin.